A powerful interpreter of his culture - in this film Alick leads a journey through his creative life. 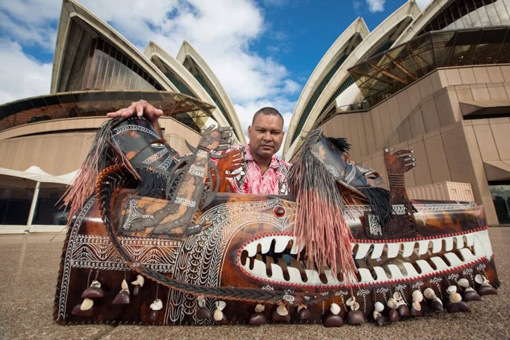 Alick Tipoti is a world renowned professional artist from Badu Island in the Torres Strait. His work depicts many meaningful symbols about the Land Sea & Sky of his country through traditional Melanesian patterns. His work is in collection throughout some of the most prestigious Galleries & Museum all over the world.